Character - Jedi. Points: 14/18. Health: 12. While this character has 2 or more shields, increase the value of his character dice by 1. 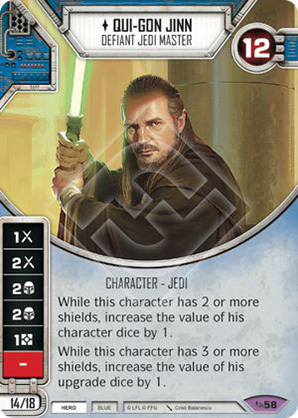 While this character has 3 or more shields, increase the value of his upgrade dice by 1.